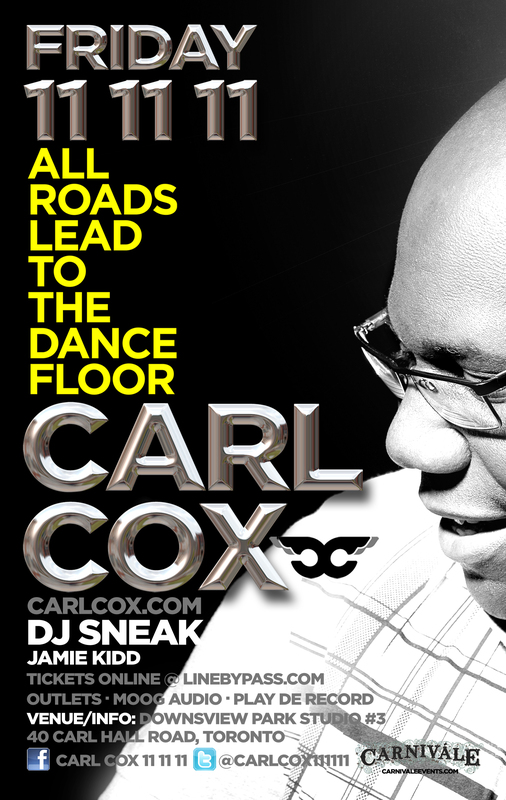 This Friday in Toronto, the folks at Carnivale have for us a night to truly remember, with the legendary Carl Cox and DJ Sneak hitting the tables along with Milano to take us back to the good old days when house music reigned supreme in the underground. These pioneers of the scene have gone on to headline festivals across the globe, and for one night only, those lucky enough to be in the city will have the chance to see them live for what is sure to be an electric atmosphere for Carl Cox fans new and old to remember. Enter EarmilkVIP for a $10 savings! This week's selection features massive names like Tiesto, Avicii and Dada Life, as well as some newcomers with standout bangers such as "Absolut" by Bjornberg. Afrojack drops a new tune and Hardwell releases another remix with his signature all over it. Be sure to check out the "Happy Violence" remixes from Kaskade and Swanky Tunes, and catch all of my favourites in the mix.